Parents should not be worried about entertaining and keeping their children busy this March Break. A long list of activities can help you start planning a fun day or week! As much as people are looking forward to spring, now is the time to embrace winter before she's gone! If overnight getaways are what you are looking for, you can find them here March break family getaways. The following activities are our suggestions to keep your kids busy, while benefitting from fresh outdoor air and fun indoor activities too. There are many ice-rinks throughout the province, plus lakes for pond hockey. Many of our members also have outdoor rinks or have partnered with local recreation centres for passes. Check with recreation centre for special March Break skating programs and prices. On the ice or just someplace flat! Grab a hockey stick for a game of shinny or broom ball at a rink north of Toronto either at resorts or in many towns' and cities' recreation centres. You don't need an ice surface either. A big driveway, a quiet cul-de-sac, find your spot and drop the puck! 411 tip: It's not just about the players. Get the whole family involved. For those who don't want to play hockey, they can be referees, fans or commentators! Get into it with team colours with face paint for the fans or bring music if you can! Use your imagination and get creative. Get your own snow tube or indulge with a snowtubing getaway at a hill nearby or in resort destinations north of Toronto. 411 tip: Be prepared to laugh. Adults will feel like children again. No skill required. Experience a dog sledding adventure at a winter carnival or at one of the many resort destinations north with a dog sledding getaway. There's nothing more wondrous and beautiful than the transition from winter to spring. If you've got kids who love mud, now's a chance to take to a forest and let them play in that muck! 411 tip: Bring a change of footwear for getting back in the car! Watch nature and birds, such as waterfowl, migrate and look for open water. Kids love to feed the birds. See outdoor nature attractions and adventures or Ontario trails. 411 tip: Do not forget your camera. The look on your child's face as a bird lands in their hand is magical! Be patient and you'll capture that shot! Exercise the brain, not just the body! It's tons of fun and there's lots to learn when you consider a family ice fishing getaway or an afternoon of quiet baiting. Be safe and if you're not experienced, go with someone who is. 411 tip: Bring extra activities for the kids to keep them interested and busy when the fish don't bite right away. Enjoy an outdoor bonfire. Kids love to roast marshmallows and sip hot chocolate after an outdoor winter activity or adventure. 411 tip: If permitted, you can even do this one at home! Downhill skiing or cross country skiing can either be done at organized ski area destinations or in the case of x-country, you can always head out on natural trails or make your own trails. Check ski, snow and snowboard reports before heading out. 411 tip: Don't forget sunscreen for your face! March Break is usually sunny! It's a change from the long grey winter. Even though the temps are chilly, the sun is still capable of doing harm. This can be an exhilarating activity, depending on the pace. A slower pace is recommended for families with younger children. A variety of light-weight snow shoes make the snowshoeing a lot easier. Many snow destinations have snowshoe rentals or in some cases, snowshoes are included in snowshoe getaway packages. 411 tip: This activity is getting very popular. Familes have tons of fun exploring and it tires everyone out real good! See the attractions and activities page for more details and places to go. Towards the end of the winter season, there are sleigh rides, maple syrup tasting and snow maple fudge where hot syrup is poured on fresh snow - a truly Canadian event. Get out and enjoy one of the many Maple Syrup Festivals north of Toronto. 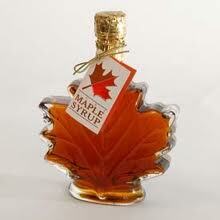 Many resort destinations will be producing maple sap during the March Break Getaway season. If parents are working, this might be a great option for your children. They have fun, while learning, meeting new friends and spending time outdoors. Some day camps can be more active and athletic. Our events calendar for March Break is bursting with "game day" decision activities. If you're away on a getaway, consider a day camp activity for your child. 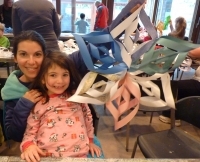 Many local libraries aslo have free events for families. It's not just about exercising the body, but the brain too. Find some cool crafts or games online and spend some time at the kitchen table. Take your kids to the MacLaren Art Centre in Barrie, check it out and talk about the exhibits.